Welcome to The Barn Raiser! 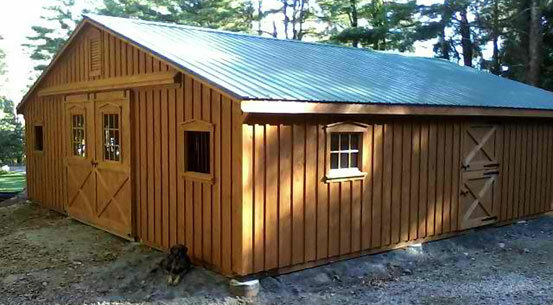 Your best source for the Hudson Valleys’ finest-quality Amish-built storage sheds. 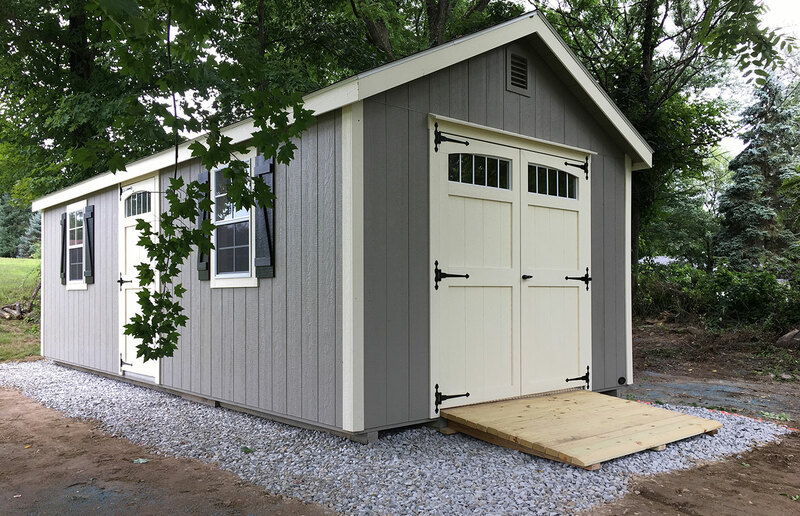 The Barn Raiser offers a large array of storage sheds and barns, 1-and 2-car garages, 2-story buildings, gazebos, horse barns, chicken coops and much more. Please browse around our site; we know you want to be able to view as much information as possible, especially pricing, without having to take time out of your busy schedule to call us and ask. However, if you don’t find what you are looking for, please don’t hesitate to contact us. 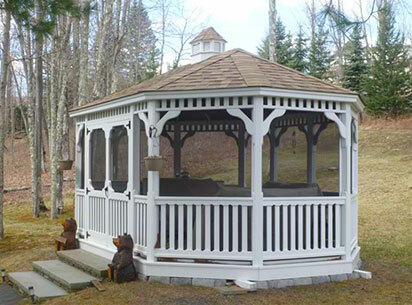 Quality Amish-built in Pennsylvania, our pre-fabricated and/or modular structures are available in a wide variety of sizes, styles, sidings and colors. 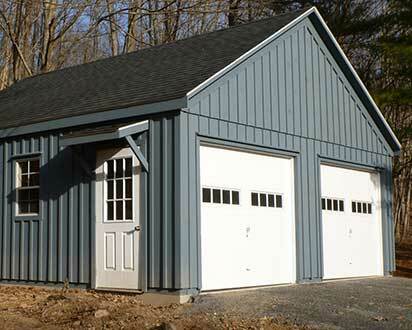 If an ordinary shed or garage won’t do, we can have it customized to fit your needs with a lot of great options. We are open to new ideas and thinking ‘out of the box’. Just ask us! Or, simply email us that rough sketch of your ‘dream’ art studio or workshop! We also offer 2-story sheds and 2-story garages; just imagine what you can do with that second floor of space! 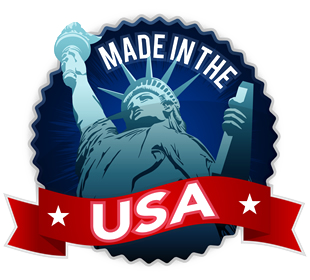 Many of our structures can be delivered to just about anywhere in the continental U.S. with our main delivery area consisting of New York, New Jersey, Pennsylvania, Connecticut, and Massachusetts. Plus, many of our products can be ‘direct shipped’ or shipped via freight in ‘kit’ form. We’ve shipped dog kennels to Texas and South Dakota, a rabbit hutch to California, a gazebo to Kansas. Do you live in the Hudson Valley region of New York? Then you can easily purchase a storage shed, garage, gazebo, horse barn, dog kennel or a chicken coop directly from our Highland, NY lot. We stock a good variety year round and we constantly turn over our inventory to keep things fresh. We regularly service Ulster County, Greene County, Columbia County, Dutchess County, Putnam County, Orange County and Sullivan County offering the first 30 miles of delivery absolutely free, for most buildings! If you are outside of that range, simply call us for a delivery quote; it’s often quite reasonable. Check this out! We had the privilege of working with Daymond John, founder of FUBU and star of the hit show Shark Tank. We worked with Daymond on his property here in the Hudson Valley, and he was kind enough to give us this testimonial.